While there was a lot of positive talk about proposed changes taking place to the NBA Draft, when it came to the vote, that sense of optimism was not quite shared by the people in charge of the teams. Initial talk about the proposed draft reforms indicated that only one club was opposed to the changes taking place but the final vote tells a very different story. The vote indicated that 17 clubs were in favour of the reform while 13 clubs were not, so there was backing for the reform. However, there was a need for the changes to be backed by 23 teams, representing three quarters of the league, in order to change the way that the lottery takes place. 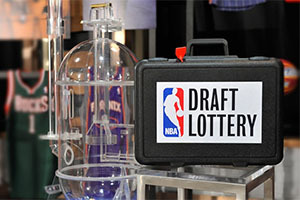 The main reason to change the lottery was raised with an aim of preventing teams from “tanking”. The NBA is one of the few leagues around the world where there is something to be gained from losing and coming out nearer the bottom of the league. As things stand, teams that have a lower ranking stand a better chance of gaining first pick in the Draft, which is clearly something that can revitalise a team’s chances for a new season. This has created the situation where plenty of teams have set out to deliberately lose games, or at least not perform to the high standards that they would usually look to achieve, in games coming up to the end of the regular season. We’ve tinkered with the draft lottery several times over the years. I don’t necessarily disagree with the way it works now. From a personal standpoint, what I’m most concerned about is the perception out there right now. Frankly, there is pressure on a lot of our teams, even from their very fans, to somehow underperform because in some people’s view that’s the most efficient and quickest way to get better. That’s a corrosive perception out there. Talk about “tanking” has also been mentioned alongside the debate about the amount of games that are being played in the NBA. There is a growing feeling that having far too many games is playing a part in the amount of pointless games at the end of the season and that if a team was going to try and lose games, these would be the games that they would try and lose. It therefore makes sense for people to think about losing these games from the calendar in order to minimise the opportunities of teams playing at their best. It is just one of the many arguments that is being discussed with respect to improving the way the NBA is run, but it is an argument that will find favour with many teams. The fact that there are NBA fans willing for their team to lose, is strange, but of course, it is done because they think it will provide a long-term benefit for their team. Some fans are able to look at the big picture and determine what is best for their team, but this isn’t something that is necessarily best for the sport. The reforms would have given the league’s four worst teams identical odds (around 11 per cent) of winning the number one draft pick, with the fifth team having about a 10 per cent chance and the rest of the teams declining odds, ESPN reported.